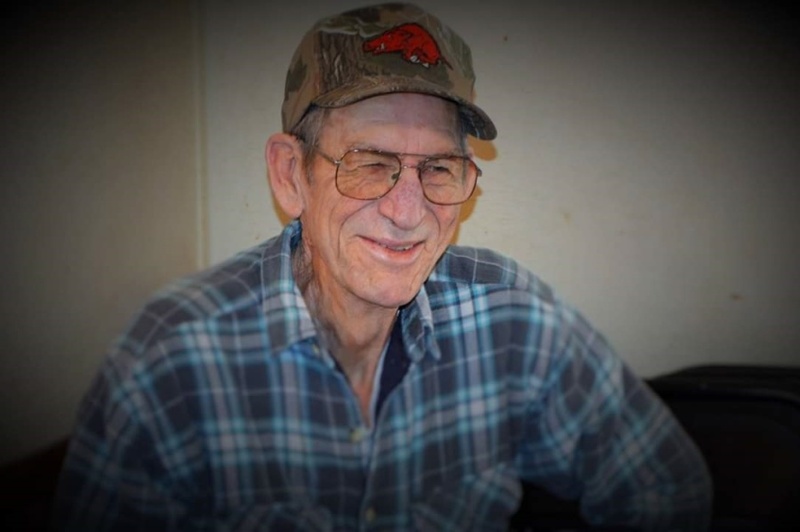 Obituary for Joe Colvin Drye | Boyd Funeral Home, Inc.
Joe Colvin Drye, age 74 of Carlisle, passed to his heavenly home on Sunday February 3, 2019. Joe was born May 1, 1944, to the late Lanco and Minnie Drye in Hagler Arkansas. At the young age of 17, Joe joined the Arkansas Army National Guard and served 6 years to the rank of Staff Sergeant. After graduating from Stuttgart High School in 1963, the family relocated to Pine Bluff. Joe began working in the produce department at Kroger. His coworker bet him a quarter to go ask the pretty cashier out for coffee on their break time. Jan accepted, Joe earned 25 cents and a loving partner for life. They married three months later and had spent 43 wonderful years together when Jan was called home in 2004. Joe and Jan have now finally had their sweet reunion day. Joe and Jan together enjoyed target shooting, horseback riding, raising chickens and rabbits. Joe had a green thumb with everything from flowering bushes, fruit trees, and a big beautiful vegetable garden. Joe was the proud father of one son, Tim (Rae) Drye of Peyton, Colorado, and one daughter, Tonya (Steven) Baldwin of Cabot. Seven grandchildren: T.J. Drye, Nicholas Drye, Jonathan Drye, and Chloe Drye all of Colorado. Benjamin (Samantha) Baldwin of Conway, Barrett Baldwin, and Brayden Baldwin of Cabot. Joe was preceded in death by two brothers: Leon Drye and Clarence Drye, and two sisters: Carolyn Bell and Elizabeth Cody. Joe is survived by two brothers: Danuel (Berta) Drye of Farmington, Missouri, and Dean (Sissy) Drye of Carlisle, and five sisters: Debbie Gresham of White Hall, Doris (Gary) Fortenberry, Regina Drye, Minnie Hodnett, and Trudy (Rick Gazo) Drye of Carlisle, along with many other family members who will miss him dearly. Arrangements by Boyd Funeral Home in Lonoke are as follows: Visitation will be Saturday, February 9, 2019 at 10:00 A.M., Landmark Missionary Baptist Church in Carlisle. Services celebrating Joe’s life will begin at 11:00 A.M. with graveside immediately following at Carlisle Cemetery.